Related: Rep the original “Who’s the Fastest Man Alive?” race debate in this totally super tee! 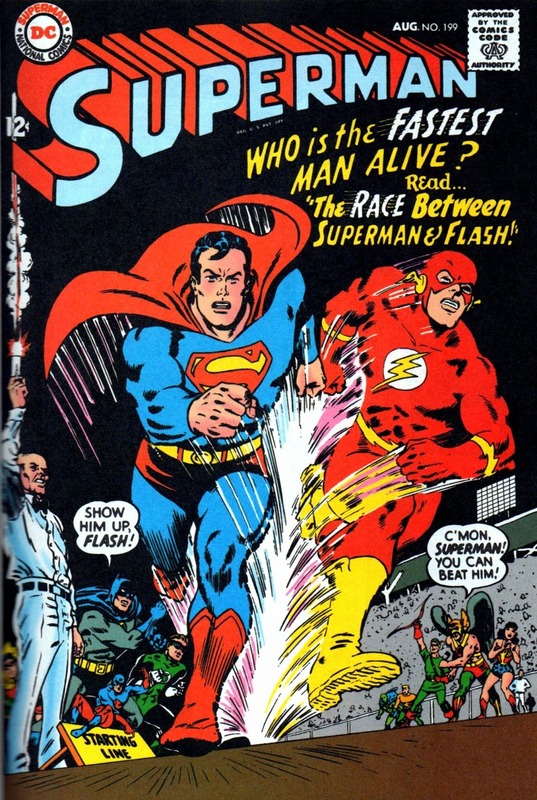 Not a new question (save a quick change from “fastest person” to “fastest man”), as this question has been around since the beginning, with the first of many races in August 1967’s Superman #199 comic. There have been a long list of races since: Superman vs. Barry Allen, Superman vs. Wally West, Superman vs. Jay Garrick… We even had a Superman: The Animated Series race! Supergirl‘s “Worlds Finest” premieres Monday, March 28 at 8/7c on CBS! 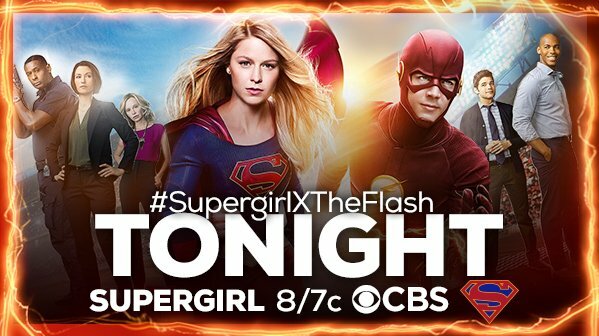 CW’s The Flash crosses over!